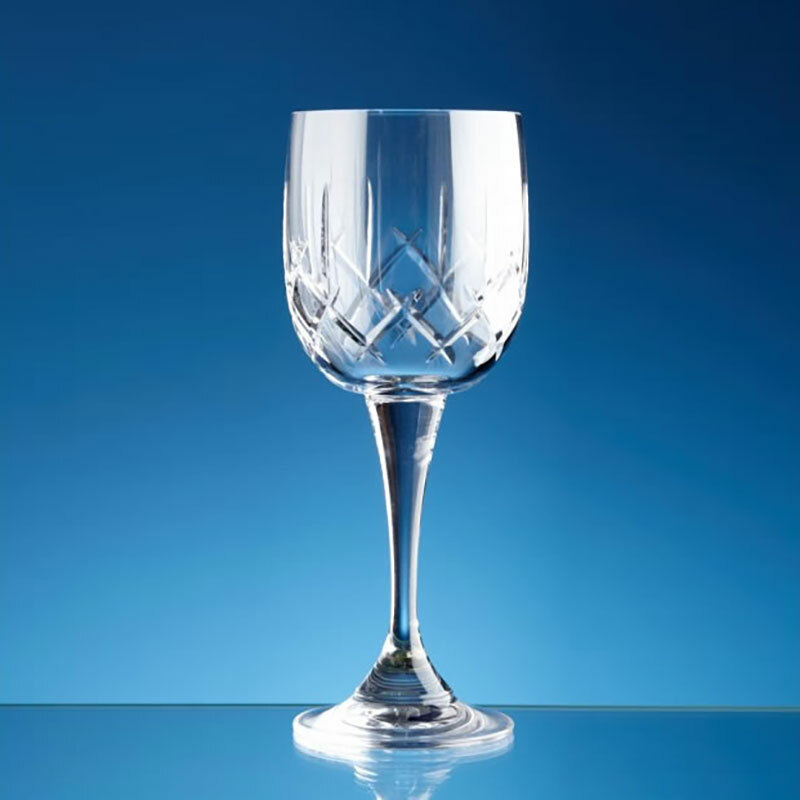 Red wine glass in quality crystal with elegant tapered stem and cut diamond pattern decoration on the body with a blank panel for engraving. Offered with low fixed-cost laser etched engraving and fast delivery. Optional deluxe presentation box available. A classic red wine glass crafted in quality crystal with attractive cut decoration on the body with a blank panel for engraving. These tall wine glasses have an elegant, tapered stem and stand 186mm (7.32in) tall. They are offered with low fixed-cost text engraving and free logo engraving, so you can customise them to create a personalised gift or branded corporate merchandise. An optional satin lined, fitted presentation box is available for this product.